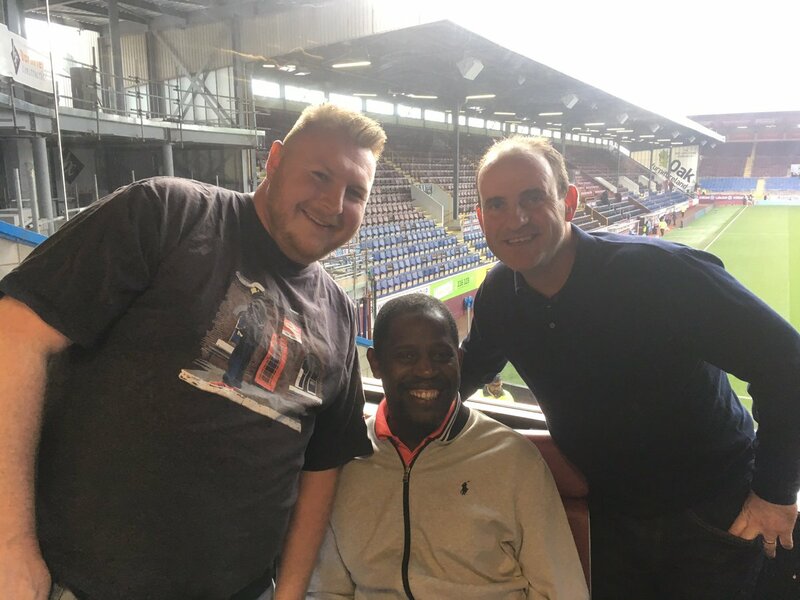 Based out of Burnley, Lancashire, Burnley Football club is an English football team currently playing the Premier League. It is one of the founding clubs of The Football League. The Burnley Rivers football club decided to make the switch from Rugby to Union Football in May of 1882. Their very first game, which came in October of that same year ended with a disappointing 8-0 defeat at the hands of Astley Bridge. They moved their games to Turf Moor Stadium in 1883; the stadium in which they still play their games currently. Only Preston, their Lancashire rivals have remained in one location longer than them. The first season of The Football League was 1888-1889. That season was not very kind to Burnley seeing as though they lost their first 17 games of the season. They did manage to salvage the season with their first ever Lancashire Cup with a 2-0 victory over Blackburn Rovers. The years that followed found Burnley playing in the Second division. They were promoted briefly following a season in which they only had two losses, but found themselves back in Second division up until 1911-12 when they had a one-loss season. They changed their colours to claret and sky blue and in 1912-13 were once again promoted to First Division. The following season they won their first major cup and were presented the cup by King George V.
Postwar is when the team flourished behind the dynamic duo of Jimmy Adamson and Jimmy Mcllroy. The team managed to win the championship in 1959-60. Once those two were gone, the team began a decline into near oblivion from 1976-1987. It took them until 1992, four years after they lost the Football League Trophy game to Wolves at Wembley Stadium to regain their championship form, winning the Division four championship. 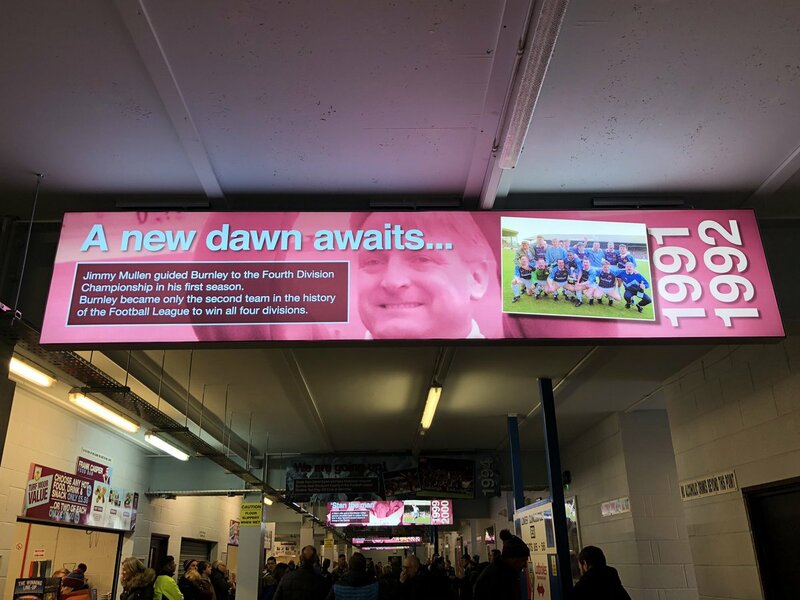 True to honoring their tradition, Turf Moor stadium is divided into four stands all named after former players. The James Hargreaves stand, the Bob Lord stand, the David Fishwick stand and most notably, the Jimmy Mcllroy stand. 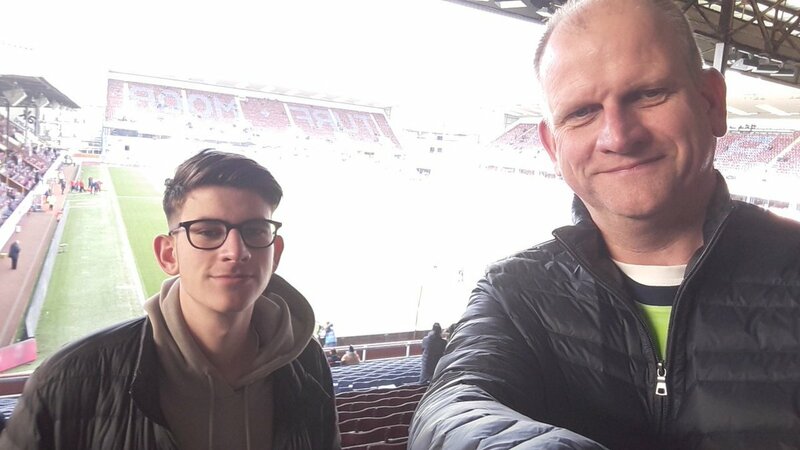 90'+1' - James Tarkowski - Burnley - won a free kick in defence. 90' - Corner - Cardiff City. Conceded by James Tarkowski. 90' - Shot blocked. Bruno Ecuele Manga - Cardiff City - shot with right foot from outside the box is blocked. 89' - Offside - Burnley. Jack Cork with a pass, however Chris Wood is in offside. 87' - Aron Gunnarsson - Cardiff City - won a free kick in defence. 82' - Víctor Camarasa - Cardiff City - receive yellow card. 82' - Ashley Barnes - Burnley - won a free kick on the left wing. 81' - Substitution - Cardiff City. Bobby De Cordova-Reid for Harry Arter. 81' - New attacking attempt. Chris Wood - Burnley - shot with the head from the centre of the box is saved by goalkeeper in the centre of the goal. Assist - Dwight McNeil with a cross. 80' - Charlie Taylor - Burnley - won a free kick on the left wing. 78' - Substitution - Cardiff City. Oumar Niasse for Kenneth Zohore. 77' - Missed chance. 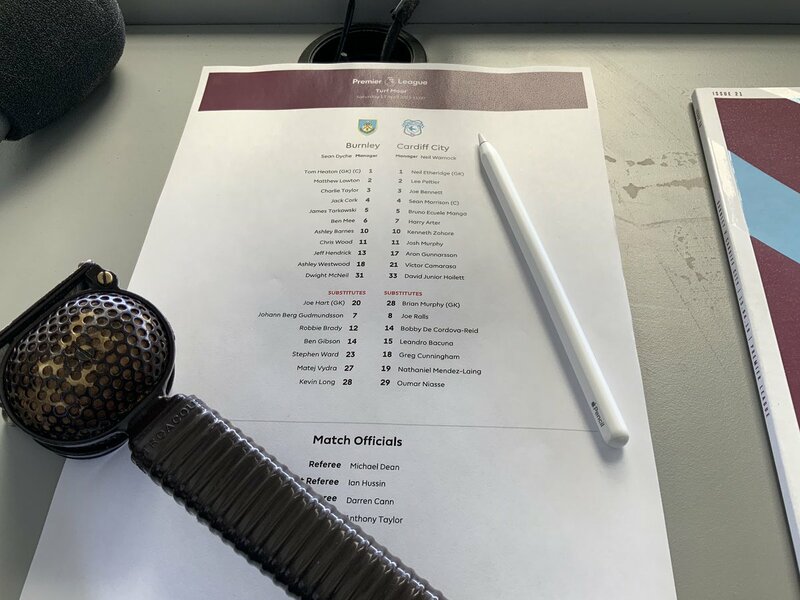 Ben Mee - Burnley - shot with the head from the right side of the six yard box missed after corner. 77' - Corner - Burnley. Conceded by Neil Etheridge. 77' - New attacking attempt. Ben Mee - Burnley - shot with the head from the centre of the box is saved in the top left corner. Assist - Dwight McNeil with a cross. 76' - Corner - Burnley. Conceded by Bruno Ecuele Manga. 73' - Substitution - Cardiff City. Nathaniel Mendez-Laing for David Junior Hoilett. 71' - Ashley Westwood - Burnley - won a free kick in defence. 68' - Missed chance. Chris Wood - Burnley - shot with the head from few metres missed to the left. Assist - Dwight McNeil with a cross after corner. 68' - Corner - Burnley. Conceded by Aron Gunnarsson. 65' - Neil Etheridge - Cardiff City - won a free kick in defence. 63' - Missed chance. David Junior Hoilett - Cardiff City - shot with right foot from the centre of the box goes high. Assist - Kenneth Zohore. 61' - New attacking attempt. David Junior Hoilett - Cardiff City - shot with right foot from outside the box is saved by goalkeeper in the centre of the goal. Assist - Harry Arter. 59' - Shot blocked. David Junior Hoilett - Cardiff City - shot with left foot from outside the box is blocked. Assist - Aron Gunnarsson. 54' - Harry Arter - Cardiff City - hits the bar with a shot with left foot from outside the box. Assist - David Junior Hoilett after corner. 54' - Shot blocked. Harry Arter - Cardiff City - shot with left foot from outside the box is blocked. Assist - Víctor Camarasa. 53' - Corner - Cardiff City. Conceded by James Tarkowski. 51' - Missed chance. Víctor Camarasa - Cardiff City - shot with left foot from outside the box missed. 50' - Harry Arter - Cardiff City - receive yellow card. 47' - Delay in match - Cardiff City Video Review. 47' - Shot blocked. Harry Arter - Cardiff City - shot with left foot from the centre of the box is blocked. 45' - Second Half starts Burnley 1, Cardiff City 0. 45'+3' - First Half ended - Burnley 1, Cardiff City 0. 45'+2' - Ashley Barnes - Burnley - receive yellow card. 45'+1' - Joe Bennett - Cardiff City - receive yellow card for a foul. 45'+1' - Ashley Barnes - Burnley - won a free kick on the right wing. 44' - Kenneth Zohore - Cardiff City - won a free kick in defence. 43' - Missed chance. Joe Bennett - Cardiff City - shot with left foot from outside the box goes high from a free kick. 42' - James Tarkowski - Burnley - receive yellow card for a foul. 42' - Josh Murphy - Cardiff City - won a free kick in attack. 41' - Ashley Barnes - Burnley - won a free kick in defence. 39' - Offside - Burnley. Chris Wood with a pass, however Ashley Barnes is in offside. 38' - Missed chance. Jeff Hendrick - Burnley - shot with right foot from the right side of the box missed to the left. 37' - Missed chance. David Junior Hoilett - Cardiff City - shot with left foot from the left side of the box is very close to the goal. Assist - Kenneth Zohore. 36' - Missed chance. Charlie Taylor - Burnley - shot with left foot from outside the box goes high. Assist - Jack Cork after corner. 36' - Shot blocked. 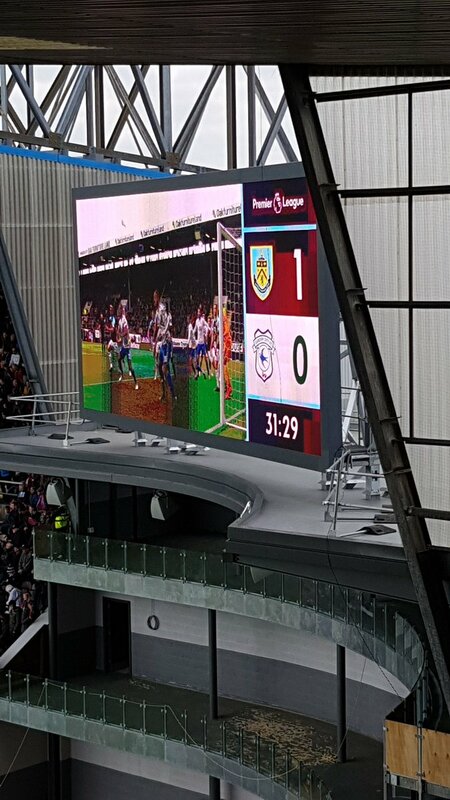 James Tarkowski - Burnley - header inside of six yard box - left side is blocked. Assist - Ashley Westwood with a cross. 35' - Corner - Burnley. Conceded by Neil Etheridge. 35' - New attacking attempt. Ashley Westwood - Burnley - shot with right foot from the centre of the box is saved by goalkeeper in the centre of the goal. Assist - Ashley Barnes. 31' - GOAL!!! 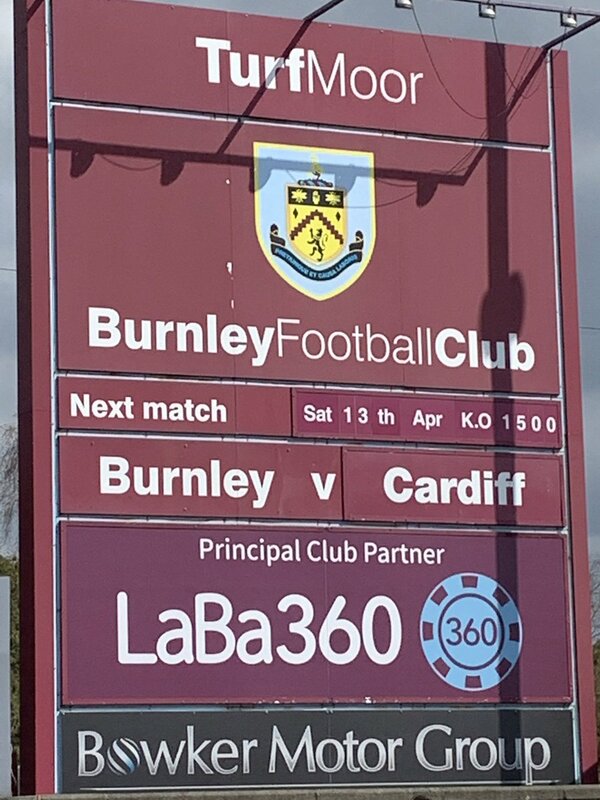 Burnley 1, Cardiff City 0. Chris Wood - Burnley - shot with the head from few metres to the centre of the goal. Assist - Dwight McNeil with a cross after corner. 31' - Corner - Burnley. Conceded by Neil Etheridge. 30' - Charlie Taylor - Burnley - won a free kick on the left wing. 27' - New attacking attempt. Ashley Westwood - Burnley - shot with right foot from the centre of the box is saved by goalkeeper in the centre of the goal. Assist - Chris Wood with a through ball. 24' - Aron Gunnarsson - Cardiff City - won a free kick in attack. 24' - Missed chance. Dwight McNeil - Burnley - shot with left foot from outside the box is high and wide to the left. Assist - Jeff Hendrick with a cross. 23' - Corner - Burnley. Conceded by Lee Peltier. 21' - Corner - Burnley. Conceded by Lee Peltier. 20' - Missed chance. Aron Gunnarsson - Cardiff City - shot with right foot from outside the box missed to the left. Assist - Víctor Camarasa. 19' - Kenneth Zohore - Cardiff City - won a free kick in defence. 17' - Delay in match Lee Peltier - Cardiff City - - injury. 16' - Missed chance. Josh Murphy - Cardiff City - shot with left foot from outside the box missed to the left. Assist - Kenneth Zohore. 15' - New attacking attempt. Ashley Barnes - Burnley - shot with right foot from outside the box is saved in the left corner. 14' - James Tarkowski - Burnley - won a free kick in defence. 14' - Kenneth Zohore - Cardiff City - won a free kick in attack. 13' - New attacking attempt. Josh Murphy - Cardiff City - shot with left foot from outside the box is saved in the right corner. Assist - David Junior Hoilett. 10' - Offside - Burnley. Ashley Barnes with a pass, however Chris Wood is in offside. 9' - Corner - Burnley. Conceded by Sean Morrison. 8' - Ashley Barnes - Burnley - won a free kick on the left wing. 5' - Corner - Cardiff City. Conceded by Matthew Lowton. 2' - Chris Wood - Burnley - hits the left post with a header inside of six yard box - left side . 2' - Dwight McNeil - Burnley - won a free kick on the left wing.